The saline or salt water technique uses the scientific principles of osmosis and equalization. Saline or concentrated salt water is tattooed over the unwanted pigment or ink to draw it up to the surface of the skin and out of the body into a scab. Once the scab falls off, the pigment will be gone or its color will be lighter. Registered Nurse Shawnda uses this method to remove permanent makeup and body tattoos because the “controlled scabbing” that occurs is very precise. Multiple sessions required $175 and up per session depending on size. Laser treatments are traditionally very expensive, painful, and cannot treat certain ink colors due to the lasers inability to breakdown lighter colors or colors that are very similar to the patients skin tone. 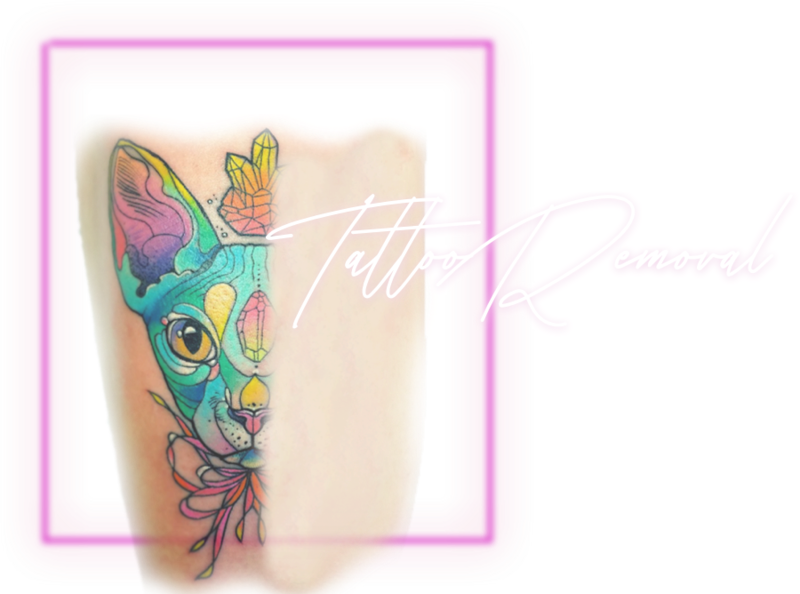 Similarly, older tattoos are harder to remove and ink which has been placed in the deep layers of the skin is not reachable by conventional lasers. How is Saline Tattoo removal done? The Saline Method is applied using traditional tattoo equipment in a very similar fashion to how your original tattoo was first applied. In place of ink, a saline solution is used which penetrates the deeper layers of the skin to bond with ink molecules. As time passes the body naturally recognizes these particles as foreign and pushes them to the surface of the skin, forming a scab that later heals free of any tattoo dye..
Shawnda Dorantes is a Registered Nurse and licensed Tattoo Artist. She has over 13 years experience in the beauty industry and 7 years experience as a nurse. Her qualifications and experience allow her to appropriately evaluate and advise her patients and clients on the benefits or disadvantages of tattoo removal procedures. 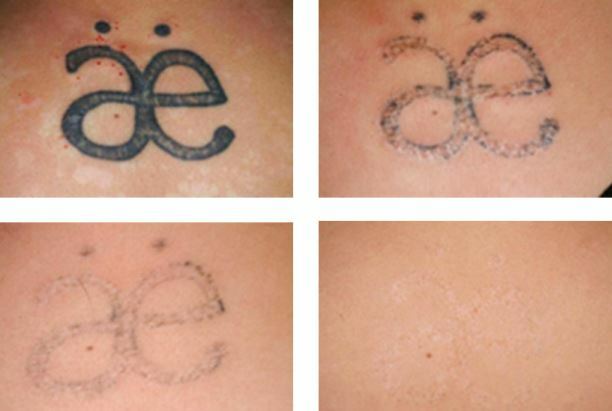 The Saline Method is an effective method of tattoo removal that has various advantages over traditional laser therapies including reduced number of treatments and expense. The Saline Method is effective on all types of tattoos, regardless of age, color, and location. The Saline Method is applied using traditional tattoo equipment in a very similar fashion to how your original tattoo was first applied.